The press release below will be of interest to readers of the INSIDER pdf subscription newsletter, which I have edited since 2010, following on from the founder and editor for 14 years, Andrew Bond. I will still continue writing articles for the INSIDER from a European viewpoint, but the publication will benefit significantly from the US input available from Walt Boyes. Nick Denbow, respected as one of the best automation industry editors and journalists in the world, will relinquish the publisher role, but will remain as UK/Europe editor indefinitely. “Joining editorial forces with Walt gives a real opportunity to share opinion and inputs from both sides of the Atlantic – which is exactly what the vendors already do. It will be really exciting to see the INSIDER expand in this way,” Denbow said. “Third, we have plans to enhance and improve the excellent reporting and journalistic insight of the INSIDER beginning with the February issue,” Boyes said. “We intend to provide local reporting on a global scale, beginning with North and South America. We intend to have Pacific Rim, India, MEA and Eastern European reporting to complement the terrific job Nick’s done primarily in Western Europe and the UK,” Boyes said. “There will be increased coverage of end user activities, as well as more in-depth coverage of vendor news from around the world,” Boyes added. “We’ll have more news about the plans for the INSIDER in the coming months,” Boyes said. The Industrial Automation and Process Control INSIDER (www.iainsider.com) is the authoritative publication in the automation market space. Because it is subscription-based, not advertiser-supported, it publishes news, opinion and analysis about the automation industries without fear or favor. Spitzer and Boyes LLC (www.spitzerandboyes.com) is a technology consulting firm devoted to assisting companies to better create and market their products in manufacturing and automation. David W. Spitzer, PE and Walt Boyes are the principals of the firm. Spitzer and Boyes LLC provides technology transfer and due diligence services for mergers and acquisitions in the technology environment, new product development consulting and forensic engineering for technology cases, content creation and custom research services in the manufacturing and automation space. More information can be obtained from editorial@iainsider.com or dspitzer@spitzerandboyes.com. In a new post on his blog themanufacturingconnection.com, Gary Mintchell highlights a success story in sorting out a cybersecurity vulnerability. This was perhaps refreshing and unusual in that for once the experts at the security services company who found the problem, IOActive (see http://blog.ioactive.com), and the hardware supplier co-operated positively and sorted out the problem, with patches made available in 3 months. “Cybersecurity experts, and especially the media that reports on cybersecurity vulnerabilities, often love to just point fingers at companies. Seldom do they acknowledge a good response. The IOActive security services company announced on 9th January that it had uncovered multiple vulnerabilities in the Siemens Scalance X-200 Switch Family. These Ethernet switches are used to connect to Industrial Control Systems (ICS) components like Programmable Logic Controllers (PLCs) and Human Machine Interfaces (HMIs). The switches enable remote diagnostics and simplified configuration through a common web browser. Senior security consultant for IOActive, Eireann Leverett, discovered two vulnerabilities in the switches. Both vulnerabilities were discovered in the web server authentication of the product. The first vulnerability could allow an attacker to perform administrative operations over the network without authentication, gaining access to critical services. The second vulnerability could allow an attacker to hijack web sessions over the network without authentication. As soon as IOActive notified the Industrial Control Systems Cyber Emergency Response Team (ICS-CERT) of the vulnerabilities, Siemens ProductCERT wasted little time resolving the issue. Siemens ProductCERT is a team dedicated to accepting and handling security issues and vulnerabilities within their products. They co-ordinate with external and internal security researchers and work closely with the company’s product teams to develop fixes. ProductCERT publish the fixes as soon as they have been tested and credits the researchers who discovered the issues. The very existence of this team illustrates Siemens serious commitment to handling security issues smoothly and quickly. This sort of story might not make the headlines that the normal cyber-security failures achieve, but such a positive result is well worth repeating, to show that Siemens in particular takes such notifications seriously. Bloomberg has reported that Amec, the second-biggest UK oil and gas engineer, has agreed to buy US-traded Foster Wheeler for $3.2Bn to expand foreign and fuel-product business. The provisional deal will give Foster Wheeler investors $16 in cash and 0.9 of a new Amec share, equivalent to a total of $32 for each share they hold, the London-based company said in a statement. It will seek a US listing after the purchase. The transaction will boost capacity in the oil products and petrochemicals business at Amec, now mainly focused on helping companies get oil and gas out of the ground. Foster Wheeler has worldwide operations and has been working in Saudi Arabia and the United Arab Emirates since the 1970s, according to its website. Amec is valued at GBP3.2Bn ($5.3Bn). The takeover will see Amec’s revenue in “growth regions” doubling. Profit will rise at least 10% in the first year and returns exceed the cost of capital in the second, it said. The cash part of the deal will cost about GBP1Bn, and the company currently has about GBP100m in cash, chief financial officer Ian McHoul said on the call. Amec will use current funds and new debt for that portion of the purchase. Foster Wheeler, based in Zug, Switzerland, had a market value of $3.1Bn at the end of last week after gaining 25% in the fourth quarter, when talks with Amec and Petrofac, the largest UK oil services provider, were reported. Amec’s offer represents a 0.6% premium over the 20-day average price, compared with a 32% premium for global oil and gas services deals in the past year, according to data compiled by Bloomberg. 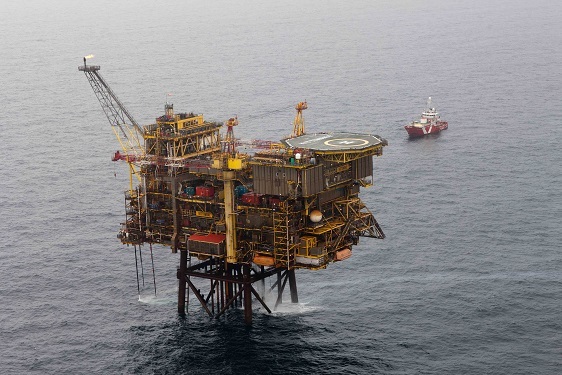 Amec expects to close the deal, subject to conditions, in the second half. Foster Wheeler, which would take two seats on the UK board, agreed not to seek out other offers before Feb 22, when agreement on the final terms is expected, Amec said. The engineer’s offer of as much as GBP680 million in August for Kentz Corp, to expand its energy construction and services business, was rejected by the Irish company. Amec also said the pound’s rise against the dollar will curb its earnings before interest, tax, depreciation and amortization this year by about GBP10 million. Gains from Foster Wheeler won’t be fully realized this year so Amec won’t meet targeted earnings per share of 100 pence in 2014, it said. Systems integration specialist Hima-Sella has been awarded a contract from international oilfield services provider Petrofac for the provision of an upgraded fire and gas detection system for the Kittiwake oil and gas platform in the North Sea, which it operates as Duty Holder on behalf of Centrica Energy. The system will feature a HIMA HIMax and incorporate an addressable controller (rated to SIL2), and the overall project will also include the supply of new flame, smoke and gas detectors. The HIMA HIMax is a Programmable Electronic System (PES) and, for the Kittiwake platform, it will be catering for an estimated 1,300 I/O, with scope for expansion. In addition, the HIMax ‘NON STOP’ feature will allow changes to be made whilst the system is online and without interrupting processes on the platform. For the majority of the fire and gas detection system, signal conditioning will be performed directly on HIMax I/O modules. Also, existing platform wiring will be used in combination with HIMA Field Terminal Assembly units (to be located in the platform equipment room). Hima-Sella engineers have already commenced developing the fire and gas detection system functionality using SILworX – the well-proven HIMA integrated configuration, programming and diagnostic environment – and system delivery, installation and commissioning are scheduled for later this year.